plans. As of March, nearly 25% of all 401(k) participants invest solely in TDFs representing a 6 fold increase in six years according to Vanguard via research for plans they manage. Vanguard goes on to say that 64% of new plan participants entering a plan for the first time contributed 100% to a single TDF. When you invest in a Target Date Fund, where is your money going? Here is a comparison of the TDF series offered by the “Big 3” Vanguard, Fidelity, and T. Rowe Price who control about 80% of the Target Date Fund assets. All three families are funds of funds comprised exclusively of their own mutual funds. Fidelity and T. Rowe Price both use a higher number of undying funds as compared to Vanguard. Vanguard’s funds are lower cost due to their focus on passively managed index funds. Vanguard and T. Rowe Price use the same underlying funds that are generally available to investors. Fidelity has moved in large part to the use of their Series funds, a group of institutionally managed funds designed for use only in their Target Date Funds. Glide path refers to the leveling out of the allocation to equities in the funds as shareholders move into retirement. All three funds are “through” retirement rather than ‘to” retirement. In the latter case the glide path would level off around age 65. T. Rowe Price has among the longest glide paths of all TDF families. As you can see above, Fidelity and Vanguard level off a bit earlier. A point about the glide path. The fund companies assume that you will hold the TDFs through retirement and perhaps until death. You might or might not do this, if you don’t the glide path does not make as much difference. As you can see from the chart above, Fidelity and T. Rowe Price have ventured into a number of non-core asset classes. The allocations to any of these asset classes of course vary based on the allocation of the particular TDF. Vanguard has chosen to take the approach of building their asset allocation models across the various target dates using a simpler approach with just five funds across seven asset classes. According to Morningstar both T. Rowe Price and Vanguard are ranked “Top.” Morningstar uses a five rank system. Fidelity’s Freedom Funds are ranked as “Average” the middle ranking. This is as of June 30, 2012. Target Date Funds are a staple in 401(k) and similar retirement plans. As mentioned above they are frequently used as the default option for participants who don’t specify an investment choice. As far as choosing which family of TDFs to use, you generally won’t have a choice in your 401(k). Understand, however, that TDFs can generally be used outside of retirement plans. For example all of the “Big 3” actively court rollovers from the retirement plans they manage for participants who are leaving the plan for whatever reason. Besides the fund of proprietary funds approach used by these three families, there are Target Date Funds out there using ETFs and other vehicles as the underlying investments. Are you comfortable allocating your retirement account from among the other options available in the plan? Are there advice options available to you via your retirement plan? These might include online options; in-person individualized sessions; or managed account options. 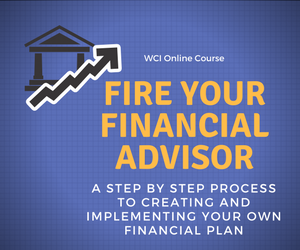 Do you work with a financial advisor on your accounts outside of the plan? If so the advisor might be in a position to provide advice on your 401(k) account. In any event these assets should be considered by your advisor in the course of the advice they provide to you. Pick the fund that best fits your unique situation; this may or may not be the fund with the target date closest to your anticipated retirement date. Target Date Funds are not a “set it and forget it” option. There, in my opinion, is no such investing option for your 401(k) or any other account. You need to monitor your TDF choice and understand how your money is being invested. Fund companies can change managers, investment philosophies, etc. You are responsible for your retirement and need to stay on top of it. The use of a TDF does not guarantee retirement savings success. The biggest determinant here is the amount saved during your working life. Make sure that you are maximizing the amount you are able to contribute to your plan. TDFs do not lower investment risk; this is a function of how the fund is allocated and the skill of the investment manager. Just ask holders of many 2010 dated funds back in 2008. You need to understand how the allocation of the TDF you choose will fit with your other investments, whether other funds in the 401(k) or your outside accounts such as IRAs and taxable brokerage accounts. While I’m not a huge fan of Target Date Funds, they can be a sound alternative for many 401(k) investors. Make sure you have researched this and all options available via your 401(k) plan to determine if this is truly the best option for you. Check out morningstar.com to analyze your Target Date Fund choices and all of your 401(k) options, and to get a free trial for their premium services. If you have a choice of Target Date Fund families remember to look “under the hood” of each because there are differences in approach, the types of underlying investments, and costs. There are also differences in the allocation and risk of funds from difference families with the same target date. Please feel free to contact me with any questions you may have about your 401(k) plan or with regard to your overall financial planning needs. Before investing in target date mutual funds investors should consider how poorly most of these funds did in the 2007-2009 stock market decline. Ken I agree, especially in terms of the short-dated funds that would generally be designed for those investors close to retirement. But also I think investors should look at the long-term track record vs. a well constructed, well diversified portfolio and I think generally TDFs will come up short. I like your points: •The use of a TDF does not guarantee retirement savings success•Target Date Funds are not a “set it and forget it” option/. Great point Ornella. I generally like TDFs for younger workers who may just be starting out and who have a long time until retirement. I tend not to like them for older participants say within 15 years or less of retirement. At that point they hopefully have accumulated some level of investment assets and they need more tailored guidance on their overall portfolio as well as specific retirement planning advice. Thanks for your comment. I agree low costs are better. I’m probably biased, but there are a great many folks who do need professional advice on their 401(k) and in preparing for retirement in general. You my friend are the exception rather than the rule with you investing know how. That said, other than for younger workers I’m not a real fan of Target Date Funds. The fund companies love them however and I’ve seen a big marketing blitz using TDFs to try to capture IRA rollover assets. As with many things financial, one size does not fit all. Really interesting topic. It is useful for eveyone.